Each winter the Swiss ski resort of Davos becomes a site for fervent backslapping and informal deal making between the world’s elite. But this year the mood among the 2,500 business leaders, politicians and academics gathered at the invitation-only World Economic Forum is grim. The official theme for is “The Great Transformation: Shaping New Models” – asking the participants to provide ways of improving the current world financial system. Yet it’s not like the world leaders haven’t given the subject any thought – and so far there have been more questions than answers. On the eve of the summit the IMF gave the participants plenty to chew on, when it downgraded the world’s economic growth forecast by a whopping 0.8 percent, from the 4.1 percent it predicted in September to 3.3 percent. And, predictably, the Eurozone sovereign debt crisis will be top of the bill. 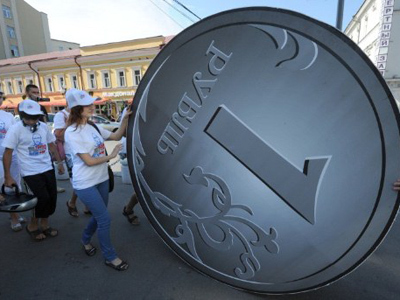 Incidentally, the IMF forecasts that the region will be plunged into a recession this year – losing 0.5 percent of GDP. 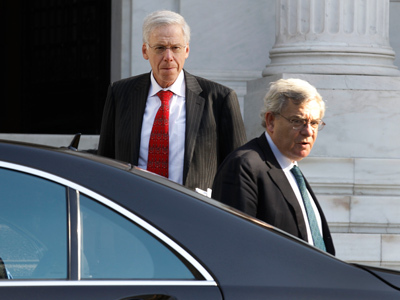 The Eurozone’s problem child – Greece – is once again on the verge of defaulting. It faces a 14.5 billion Euro debt repayment in March, but has no money to pay. So far, Germany’s Angela Merkel, leader of the region’s most powerful economy, has been cautious in bailing out the weaker Eurozone members, fearful of a backlash from her own voters. But analysts have speculated that Merkel, who will open the forum, will back a much bigger bailout fund, provided by Europe’s more resilient economies. After all, the alternative is a disorderly collapse of the Euro, a terrifying spectre hanging over the entire Davos forum. For her part, Christine Lagarde, the managing director of the IMF, has warned Eurozone countries against making masochistic fiscal cuts that jeopardise growth and plunge economies into a downward recession. But Europe’s loss has been the developing world’s gain, at least in relative terms. Standard Chartered bank has predicted that two thirds of the world’s growth up to 2030 will come from developing countries. Each year China, which is expected to grow by a healthy – if not record-breaking – 8.2 percent in 2012, is touted as a potential saviour of the world’s financial systems. Yet, the country has little ideological incentive to help wealthier Western countries, and protecting its own economy is the order of the day. "China is very clear: 'We are not ready to play with the big boys,” Annie Koh from Singapore Management University told the local Today newspaper. Also, whereas three years ago the Chinese Premier Wen Jiabao opened the forum, this year the country has sent a low-powered delegation. It is not clear whether this is because the World Economic Forum falls on the same year, or an internal struggle for power among China’s elite. “This year has particular political significance. Chinese leaders will do everything for the purpose of domestic politics, just like politicians in the US,” Zheng Yongnian, a scholar of Chinese politics at the National University of Singapore said to the Financial Times. The highest-profile Russian representative at the forum is not a billionaire and holds no official position. Aleksey Kudrin may have been publically dismissed from his role as Finance Minister last year, but he still remains the man the West respects the most on the Russian economy. 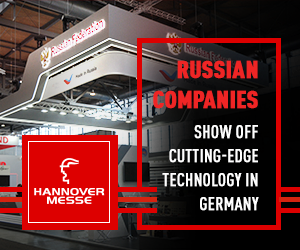 Meanwhile, head of the state nanotechnology fund Rosnano Anatoliy Chubais and the head of the multi-billion Skolkovo innovation city are in Switzerland to sell Russia’s vision of the future to potential investors. So far both projects have produced more hoopla than concrete results, but huge pavilions showcasing opportunities have been leased. Yet with gloomy prospects in their own backyard, it is not clear how much interest Western financiers will show in Russian pipedreams. Make no mistake about it: the floor at Davos this year will belong to the Western financial crisis. 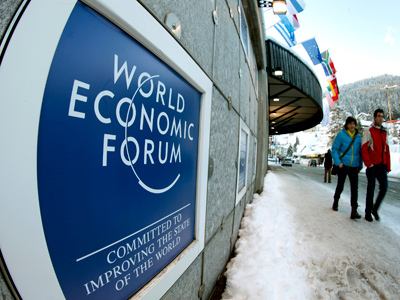 For more about what´s happening at the Davos Economic Forum watch RT's Lauren Lyster. Eurozone downgrade: Is collapse imminent?